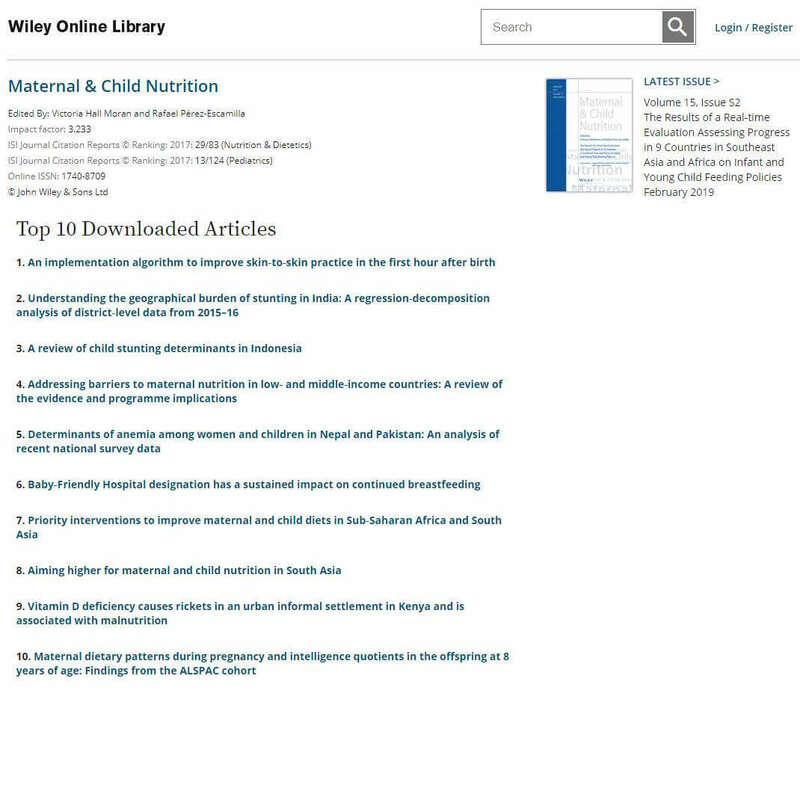 Two Faculty Articles cited as Journals' Most Read - Healthy Children Project, Inc.
One of the most read articles in Breastfeeding Medicine last year was “Mapping, Measuring, and Analyzing the Process of Skin-to-Skin Contact and Early Breastfeeding in the First Hour After Birth.” Published in the September 2018 issue, the piece was written by Karin Cadwell, Kajsa Brimdyr and Raylene Phillips and featured a cross-sectional study of eighty-four mothers and newborns during the first hour after birth at a Baby-Friendly hospital. WHO guidance continues to state that birthing facilities should “facilitate immediate and uninterrupted skin-to-skin contact and support mothers to initiate breastfeeding as soon as possible after birth,” and that it should be uninterrupted for at least 60 minutes. This contact benefits infants by decreasing the stress of being born, promoting more optimal thermal regulation, decreasing crying, improving cardiopulmonary dynamics, and promoting more optimal blood glucose levels. Although these benefits are widely researched and confirmed, less than half of newborns worldwide are breastfed in the first hour. This study sought to analyze the process of uninterrupted skin-to-skin contact between healthy newborns and their mothers immediately after planned vaginal birth and identify practice that preclude achievement of immediate, uninterrupted, continuous skin-to-skin contact in the first hour. The findings revealed that, despite being ideal candidates for skin-to-skin contact in the first hour after birth, 37 percent of newborns didn’t receive immediate skin-to-skin contact after vaginal birth as planned due to emergent cesarean and only 27.4 percent self-attached and suckled. The patterns discovered in the study will help pinpoint where specific interventions would be most effective and strategies for change that could optimize patient outcomes. Read the article here or click on the image below. One of the most downloaded articles in Maternal & Child Nutrition last year was “An implementation algorithm to improve skin‐to‐skin practice in the first hour after birth.” Published in the April 2018 issue, the piece was written by Kajsa Brimdyr, Karin Cadwell, Jeni Stevens and Yuki Takahashi and introduced Healthy Children Project’s Skin‐to‐Skin Implementation Algorithm. Evidence supporting the practice of skin‐to‐skin contact and breastfeeding soon after birth points to physiologic, social, and psychological benefits for both mother and baby. The 2009 revision of Step 4 of the WHO/UNICEF “Ten Steps to Successful Breastfeeding” elaborated on the practice of skin‐to‐skin contact between the mother and her newly born baby indicating that the practice should be “immediate” and “without separation” unless documented medically justifiable reasons for delayed contact or interruption exist. While in immediate, continuous, uninterrupted skin‐to‐skin contact with mother in the first hour after birth, babies progress through 9 instinctive, complex, distinct, and observable stages including self‐attachment and suckling. However, the most recent Cochrane review of early skin‐to‐skin contact cites inconsistencies in the practice; the authors found “inadequate evidence with respect to details … such as timing of initiation and dose.” This paper introduces a novel algorithm to analyse the practice of skin to skin in the first hour using two data sets and suggests opportunities for practice improvement. The algorithm considers the mother’s Robson criteria, skin‐to‐skin experience, and Widström’s 9 Stages. Using data from vaginal births in Japan and caesarean births in Australia, the algorithm utilizes data in a new way to highlight challenges to best practice. The use of a tool to analyse the implementation of skin‐to‐skin care in the first hour after birth illuminates the successes, barriers, and opportunities for improvement to achieving the standard of care for babies. Future application should involve more diverse facilities and Robson’s classifications. Bring Your Game Face to our International Conference!